The Guangzhou-Shenzhen-Hong Kong Express Rail Link (Guangshen’gang XRL) Hong Kong Section has officially put into use on September 23rd, 2018, reaching 200km/h. 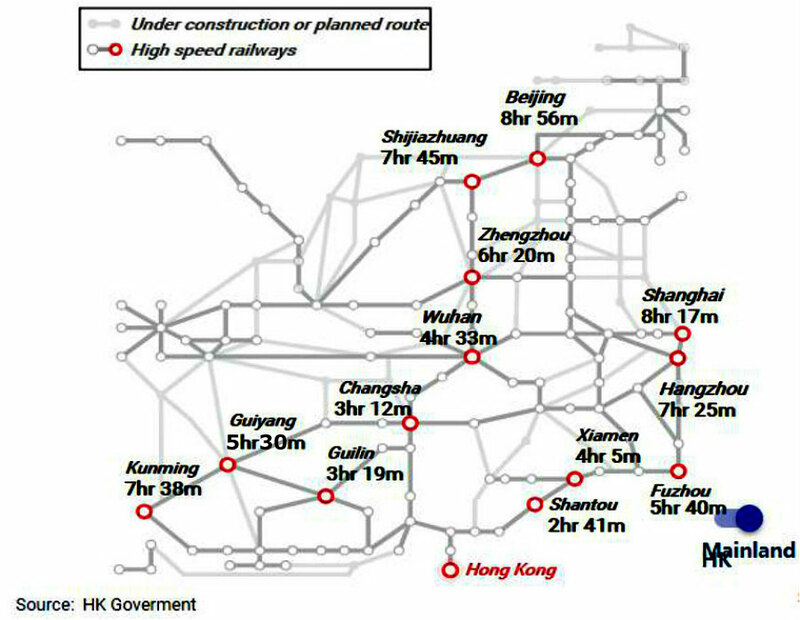 It takes only 47 minutes travel by high-speed train from Hong Kong to Guangzhou South. 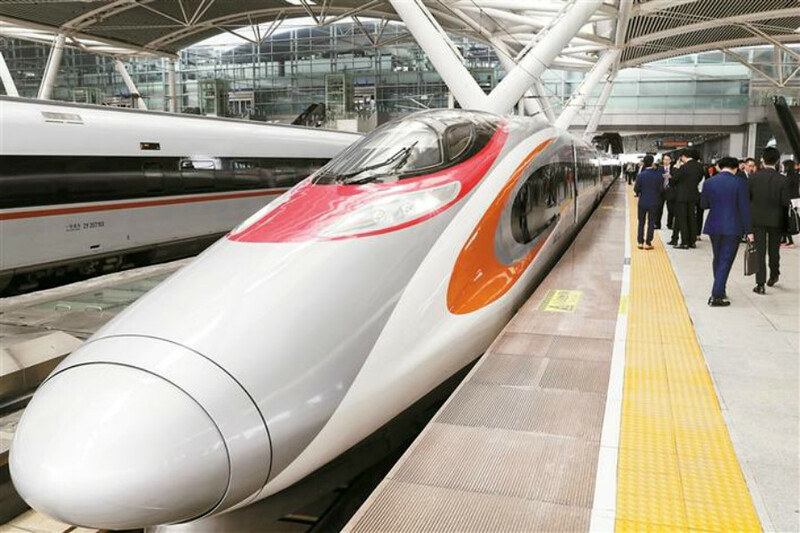 The total length of Guangzhou-Shenzhen-Hong Kong High-speed Railway is about 142 km, which consist of 2 sections: Guangzhou-Shenzhen (116 km, opened in 2011, reaching 350 km/h) and Shenzhen-Hong Kong (26 km). 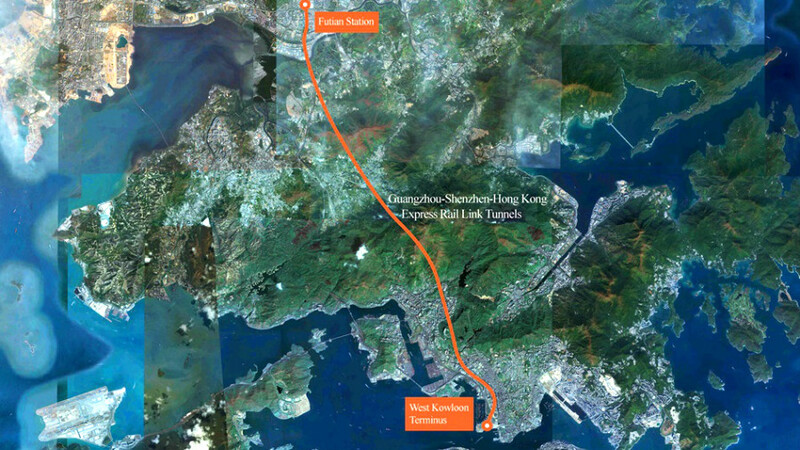 The 26 km long Hong Kong Section of Guangzhou-Shenzhen-Hong Kong Express Rail Link is part of the Beijing-Guangzhou-Shenzhen-Hong Kong High-speed Railway, connecting Hong Kong to China’s national high-speed rail network, which plays an important role as the southern gateway to the Mainland. 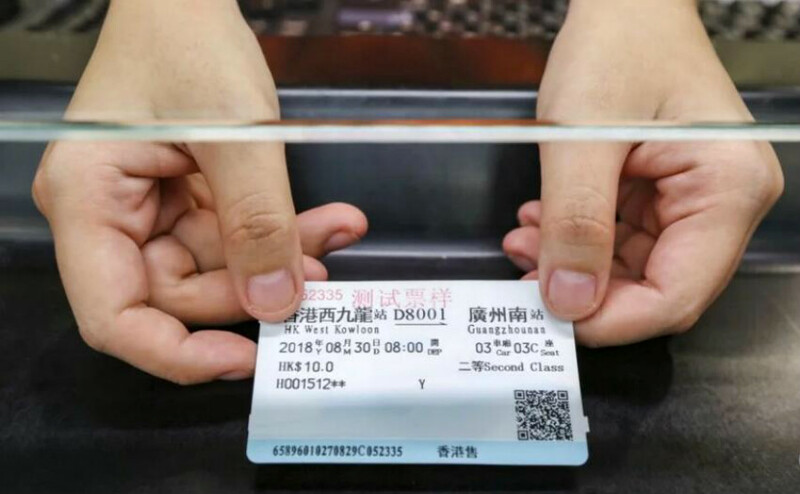 It runs between the Guangzhou South Station and West Kowloon Station in Hong Kong, passing by Qingsheng Station in Guangzhou, Humen Station in Dongguan, Guangmingcheng Station in Shenzhen, Shenzhen North Station and Futian Station. From now on, the Hong Kong section can be able to reach 44 stations of the Mainland. 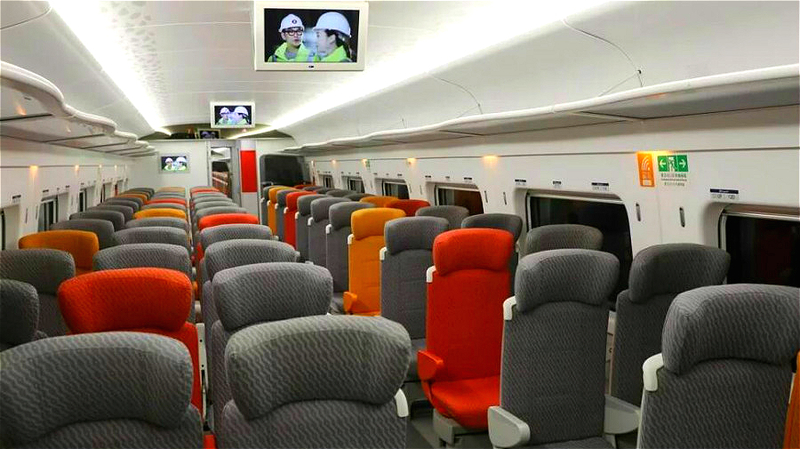 If you travel to China from Hong Kong, you can take a high-speed train directly reach to many popular cities like Shenzhen, Shantou, Xiamen, Fuzhou, Nanchang, Hangzhou, Changsha, Wuhan, Zhengzhou, Shijiazhuang, Guiyang, Guilin, Kunming, Shanghai, Beijing and so on. It is awesome to experience the different urban culture and colorful folk diet from south to north in your China tour. Moreover, benefit from the Express Rail Link, the travelling time you spend on the road will be greatly reduced. And the ticket prices are acceptable. Inside the carriages, free wifi and water fountains are available. Furthermore, first-class seats are equipped with charge devices. The more thoughtful design is that some washrooms in carriages are also bid enough for wheelchair users. 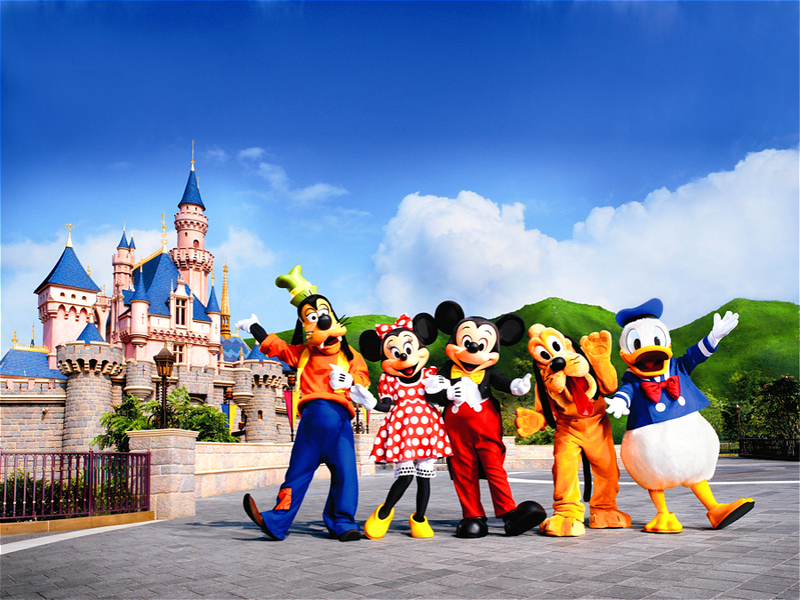 Major scenic spots like Hong Kong Disneyland, Hong Kong Ocean Park will give some benefits to visitors from home and abroad. For more detail information, please contact us.